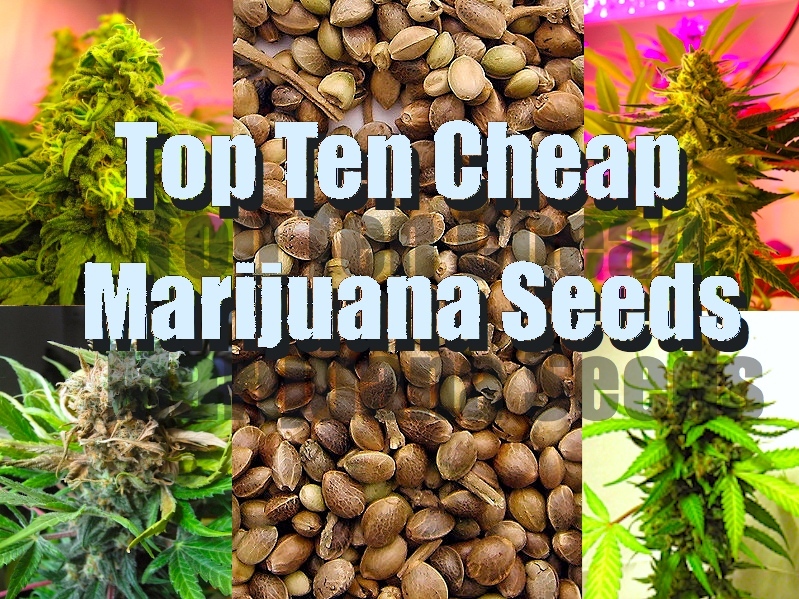 Our Cheap Image For Our Cheap Seeds Review! If you are looking for a good choice of seeds for your first medical marijuana grow, you’re likely to be overwhelmed by the choices available. The seeds could be standard, feminized, or autoflowering. Although a first time grower may want the “sure shot” at a female plant that fem/autofem seeds provide, there are simply too many good standard seeds available. See our other post on “Getting more female plants from standard seeds” in order to improve your odds of growing a female plant if you choose to go with standard seeds. The strain must have a relatively short flowering time. We don’t want to suggest that first time growers choose a tall growing sativa strain that takes 12 weeks to finish flowering. Your first grow always seems to take forever to finish anyway, so let’s keep it reasonable. The strain should be relatively tolerant of grower error. Some cannabis strains are especially sensitive to nutrient levels, light schedule interruptions, and other newbie mistakes. The strains we picked for this list should be good for beginning growers using soil. The strain should be suited to an indoor growing environment. Considering that many newbie growers may not have their own garden to help them produce their medicine, the plant should be tolerant of indoor growing conditions, and maintain a reasonable height. The cost should be under $10/seed. There are varieties of cannabis out there that can cost $50.00+ per seed. Although these may be of interest to breeders, commercial producers, and collectors of cannabis genetics, we want this list to represent seeds that will give a newbie grower a easy-to-grow plant that also won’t break the bank. Don’t let price fool you – many seed banks offer some of their best strains (that were formerly more expensive) at lower prices as they develop new “flagship” seed varieties. Offering a great Skunk or Kush strain at a good price helps them maintain a customer base and draw in new customers with a great deal. These “cheap” seeds are usually just as potent and pleasant to consume as varieties costing many times more.